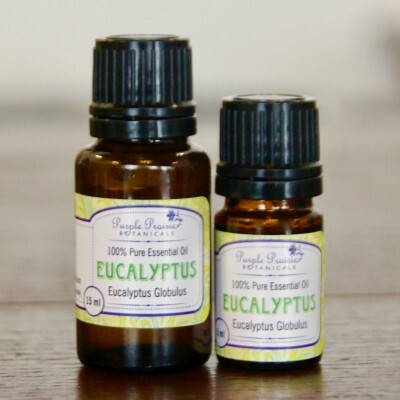 Benefits: Asthma, blisters, bronchitis, burns, catarrh, chickenpox, chilblains, colds, cuts, cystitis, fever, flu, headaches, herpes, insect bites, leucorrhea, lice, measles, mental exhaustion, muscular aches and pains, nervous debility, neuralgia, poor circulation, rashes, rheumatism, sinusitis, skin infections, skin ulcers, sluggishness, sore throats, sprains, throat infections, and wounds. Safety Data: Do not use internally. Not to be used on children under 12 years. Not compatible with homeopathic treatment. Non-irritant, non-toxic, non-sensitizing, however its use while pregnant is not recommended.